Kolkata Knight Riders (KKR), the champion of Indian Premiere League (IPL) Twenty20 (T20) Cricket tournament twice, has made only few changes in their squad before IPL 2015 season. Gautam Gambhir, captain of KKR Team, is quite confident with his players & their talents who will give tough fight once again. Although, Jack Kallis won’t be playing but good news are Sunil Narine is back and good all-rounder (Yusuf Pathan, Shakib, Russel, Azhar Mahmood, Ryan Ten Doescate etc.) are 100% fit to play KKR matches. Bangladeshi all-rounder Shakib-Al-Hasan will only be available for first few KKR matches because of upcoming Bangladesh & Pakistan cricket series. Kolkata Knight Riders (KKR) will be playing 7 home matches in Kolkata and rests of others are away matches. 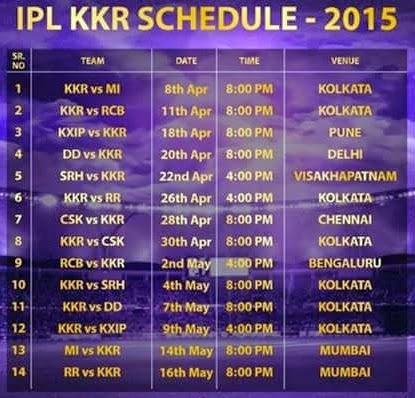 Let’s check out KKR match dates, timings and venues in IPL 2015 below. Kolkata Knight Riders (KKR) vs. Mumbai Indians (MI) IPL 2015 Match time is 8pm on 8th April 2015 at Kolkata. Kolkata Knight Riders (KKR) vs. Royal Challengers Bangalore (RCB) IPL 2015 Match time is 8pm on 11th April 2015 at Kolkata. Kolkata Knight Riders (KKR) vs. Kings Eleven Punjab (KXIP) IPL 2015 Match time is 8pm on 18th April 2015 at Pune. Kolkata Knight Riders (KKR) vs. Delhi Daredevils (DD) IPL 2015 Match time is 8pm on 20th April 2015 at Delhi. Kolkata Knight Riders (KKR) vs. Sunrisers Hyderabad (SRH) IPL 2015 Match time is 4pm on 22nd April 2015 at Visakhapatnam. Kolkata Knight Riders (KKR) vs. Rajasthan Royals (RR) IPL 2015 Match time is 4pm on 26th April 2015 at Kolkata. Kolkata Knight Riders (KKR) vs. Chennai Super Kings (CSK) IPL 2015 Match time is 8pm on 28th April 2015 at Chennai. Kolkata Knight Riders (KKR) vs. Chennai Super Kings (CSK) IPL 2015 Match time is 8pm on 30th April 2015 at Kolkata. Kolkata Knight Riders (KKR) vs. Royal Challengers Bangalore (RCB) IPL 2015 Match time is 4pm on 2nd May 2015 at Bengaluru. Kolkata Knight Riders (KKR) vs. Sunrisers Hyderabad (SRH) IPL 2015 Match time is 8pm on 4th May 2015 at Kolkata. Kolkata Knight Riders (KKR) vs. Delhi Daredevils (DD) IPL 2015 Match time is 8pm on 7th May 2015 at Kolkata. Kolkata Knight Riders (KKR) vs. Kings Eleven Punjab (KXIP) IPL 2015 Match time is 4pm on 9th May 2015 at Kolkata. Kolkata Knight Riders (KKR) vs. Mumbai Indians (MI) IPL 2015 Match time is 8pm on 14th May 2015 at Mumbai. Kolkata Knight Riders (KKR) vs. Rajasthan Royals (RR) IPL 2015 Match time is 8pm on 16th May 2015 at Mumbai. Only two IPL 2015 KKR matches in Eden, Kolkata starts at 4pm and other 5 IPL 2015 KKR matches in Eden Gardens, Kolkata are at 8pm. IPL 2015 KKR Match Tickets of Eden Gardens Stadium of Kolkata are starting from Rs.500/- are available online at IPLT20 official website and at Mohammedan Sporting Club tent near Eden in Kolkata. All the best to Kolkata Knight Riders (KKR) in IPL 2015 T20 tournament and wish KKR wins IPL again in 2015. IPL 2015 KKR matches in Kolkata, 2015 IPL KKR match timings, IPL 2015 KKR match dates, IPL 2015 KKR match venues, IPL 2015 KKR Kolkata match tickets, IPL 2015 KKR match schedule, list chart of KKR matches in IPL 2015, KKR matches in Kolkata in IPL 2015. KKR Team Squad IPL 2013 KKR Team, IPL 6 Kolkata Knight Riders New Players, IPL 2013 KKR match schedule, IPL 6 Kolkata Knight Riders match dates, New cricketers of KKR in 2013, Kolkata Knight Riders IPL6 2013 team, KKR Team for IPL 6 2013, new players of KKR team in IPL 2013, foreign players of KKR, IPL 2013 International players of KKR team. Do you want to know who are the new players joining KKR in 2013 IPL6? Do you want to know who are the players won’t be playing for KKR in IPL 2013? Are you looking for the KKR IPL-6 2013 Team Squad? Before the IPL 6 Auction few players were retained, few got released for auction by Kolkata Knight Riders team. Let’s check out New KKR Team Squad for IPL-6 2013. Indian Premier League Twenty20 Cricket Tournament (IPL T20) 2013 auction had happened at Chennai on 3rd February 2013 in the presence of all Franchise Team managements. The bidding of auctioned players completed and KKR Team has bought few new players during IPL 2013 Auction as well. Brad Haddin, Brendon McCullum, Brett Lee, Debabrata Das, Eoin Morgan, Gautam Gambhir, Iqbal Abdulla, Jacques Kallis, James Pattinson, L Balaji, Laxmi Ratan Shukla, Manoj Tiwary, Manvinder Bisla, Marchant de Lange, Pradeep Sangwan, Rajat Bhatia, Ryan ten Doeschate, Sarabjit Singh Ladda, Shakib Al Hasan, Shami Ahmed, Sunil Narine, Yusuf Pathan. Chirag Jani, Sanju Samson, Iresh Saxena, Jaydev Unadkat. Sachithra Senanayake – $625,000 to Kolkata Knight Riders (base price $50,000) – Srilankan Cricketer Senanayake, 28 years of age, is an Off Spinner who can bat as well. Ryan McLaren – $50,000 to Kolkata Knight Riders (base price $50,000) – South African All-rounder McLaren, 30 years of age, played IPL for Mumbai Indians & Kings XI Punjab. Kolkata Knight Riders (KKR) Franchise bided for Dareen Sami & Ajanta Mendis but failed to purchase them. Kolkata Knight Riders (KKR) New Team for IPL 2013 is ready to go. If you are a fan of KKR Team then please check out the IPL6 2013 KKR Match Schedule. Good wishes for New KKR Team Squad for IPL-6 2013 T20 tournament. KKR IPL 6 matches, 2013 IPL KKR Cricket Match Schedule, Kolkata Knight Riders 2013 IPL Fixture, KKR IPL6 Chart. Indian Premier League (IPL) 2012 Champion Kolkata Knight Riders (KKR) will began their IPL-6 journey against Delhi Daredevils at Eden Gardens, Kolkata on 3rd April 2013. After the Grand opening of 2013 IPL-6 Tournament at Kolkata; KKR & DD will start the 1st Twenty20 match of IPL-6. Total nine teams will play with each other twice [one home match and one away match] in the round-robin league. Top 4 IPL Teams will then qualify for the Play-offs. Here we will check out the Kolkata Knight Riders (KKR) 2013 IPL6 T20 Cricket Match Schedule both Home & Away matches. 3rd April 2013 IPL-6 T20 Cricket Match – Kolkata Knight Riders (KKR) vs. Delhi Daredevils at Eden Gardens, Kolkata [Home match]. 8th April 2013 IPL-6 T20 Cricket Match – Kolkata Knight Riders (KKR) vs. Rajasthan Royals at Jaipur [Away match]. 11th April 2013 IPL-6 T20 Cricket Match – Kolkata Knight Riders (KKR) vs. Royal Challengers Bangalore (RCB) at Bengaluru [Away match]. 14th April 2013 IPL-6 T20 Cricket Match – Kolkata Knight Riders (KKR) vs. Sunriser’s Hyderabad at Eden Gardens, Kolkata [Home match]. 16th April 2013 IPL-6 T20 Cricket Match – Kolkata Knight Riders (KKR) vs. Kings XI Punjab at Mohali [Away match]. 20th April 2013 IPL-6 T20 Cricket Match – Kolkata Knight Riders (KKR) vs. Chennai Super Kings (CSK) at Eden Gardens, Kolkata [Home match]. 24th April 2013 IPL-6 T20 Cricket Match – Kolkata Knight Riders (KKR) vs. Mumbai Indians (MI) at Eden Gardens, Kolkata [Home match]. 26th April 2013 IPL-6 T20 Cricket Match – Kolkata Knight Riders (KKR) vs. Kings XI Punjab at Eden Gardens, Kolkata [Home match]. 28th April 2013 IPL-6 T20 Cricket Match – Kolkata Knight Riders (KKR) vs. Chennai Super Kings (CSK) at Chennai [Away match]. 1st May 2013 IPL-6 T20 Cricket Match – Kolkata Knight Riders (KKR) vs. Delhi Daredevils at Delhi [Away match]. 3rd May 2013 IPL-6 T20 Cricket Match – Kolkata Knight Riders (KKR) vs. Rajasthan Royals at Eden Gardens, Kolkata [Home match]. 7th May 2013 IPL-6 T20 Cricket Match – Kolkata Knight Riders (KKR) vs. Mumbai Indians at Mumbai [Away match]. 9th May 2013 IPL-6 T20 Cricket Match – Kolkata Knight Riders (KKR) vs. Pune Warriors at Pune [Away match]. 12th May 2013 IPL-6 T20 Cricket Match – Kolkata Knight Riders (KKR) vs. Royal Challengers Bangalore (RCB) at Ranchi. 14th May 2013 IPL-6 T20 Cricket Match – Kolkata Knight Riders (KKR) vs. Pune Warriors at Ranchi. 19th May 2013 IPL-6 T20 Cricket Match – Kolkata Knight Riders (KKR) vs. Sunriser’s Hyderabad at Hyderabad [Away match]. Kolkata Knight Riders (KKR) team will play two home matches at Ranchi stadium which is included as an IPL venue from this year to reach out to the people of Indian Captain M.S. Dhoni’s home-town. Last year, KKR has won the IPL-5 Trophy; can this time Kolkata Knight Riders will succeed to defend their champions trophy successfully? 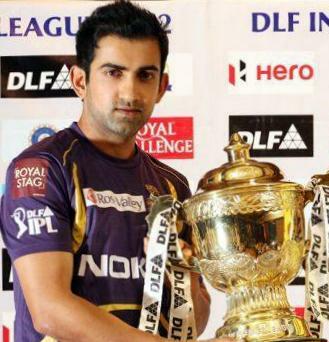 Let’s wait & watch how Gautam Gambhir uses his KKR Team in 2013 IPL. Check IPL-6 T20 Full Schedule (2013). CLT20 2012 Cricket Match Schedule, Champions League Twenty20 Cricket Tournament 2012 Match Fixture Timetable Date Timings Chart, CLT20 2012 Cricket Match timings in Indian Timing (IST), Kolkata Knight Riders KKR CLT20 2012 Match schedule, Mumbai Indians MI CLT20 2012 Cricket match dates timings fixture, Chennai Super Kings CSK 2012 CLT20 Cricket match schedule, Delhi Daredevils DD CLT20 2012 Cricket match timetable. The Champions League Twenty20 Cricket Tournament 2012 schedule has been published and will be played in South Africa during 9th October & 28th October 2012. Between, 9th October & 11th October 2012 the Qualifier Round will be played at Johannesburg & Centurion to select two teams who will play in CLT20 Main stage. The Group Stage will began from 13th October 2012 at Centurion Cricket Stadium where Titans & Perth Scorchers will play the 1st match of CLT20 2012 followed by Kolkata Knight Riders (KKR) & Delhi Daredevils (DD) match [clash of two Indian teams]. Let’s check out the CLT20 2012 Team Standing & Match Fixture below. Pool 1 Cricket Teams of CLT20 2012: - Sialkot Stallions (Pakistan), Auckland Aces (New Zealand) & winner of England domestic T20 championship. Pool 2 Cricket Teams of CLT20 2012: - Trinidad & Tobago (West Indies), runners-up of England domestic T20 championship & winner of Sri Lanka Premier League. CLT20 2012 Group Stage: - Total of 10 teams will participate in 2012 Champions League Twenty20 Cricket Tournament and amongst those ten teams; eight teams has already directly qualified as per the norms and rest of two teams will join other eight teams by qualifying in the Qualifier round. Ten CLT20 Teams has been divided into two Groups and each team of every group will play with other four teams of that group to qualify for Semi-Final. CLT20 2012 Group A: - IPL T20 2012 Champion Kolkata Knight Riders (India), Titans (South Africa), Perth Scorchers (Australia), Delhi Daredevils (India) and Qualifier 1 (from Pool 1). CLT20 2012 Group B: - Chennai Super Kings (India), Highveld Lions (South Africa), Sydney Sixers (Australia), Mumbai Indians (India) and Qualifier 2 (from Pool 2). Now let’s check out the CLT20 Cricket Match schedule 2012 and starting with the Qualifier Round. Route of KKR Team in Kolkata IPL 5 Champion KKR celebration at Kolkata, Programs Road Show for Kolkata Knight Riders. Kolkata is waiting to celebrate with Kolkata Knight Riders (KKR), Champion of IPL-5 2012 Season, on 29th May 2012. Monday on 28th May 2012 Evening, KKR Team players will arrive Kolkata along with Shahrukh Khan from Chennai and on Tuesday morning the celebration will present Kolkata a memorable day. At first around 10:45am on 29th May 2012, Kolkata Knight Riders (KKR) Cricketers will be felicitated at Jadubabu Bazar of South Kolkata, where State Minister Subrata Bakshi will be present. After getting the honor, KKR Team will move to Hazra Crossing. Around 11am from Hazra Crossing, Kolkata KKR Players, Shahrukh Khan & Other Bolly-Tolly Actors will start Winning Convoy [Bijay Jatra] on a open-trolley. Starts at 11am Hazra Crossing –> Rabindra Sadan [Exide More] –> Victoria North Gate –> Red Road –> Writers’ Building [Mahakaran] –> Eden Gardens Stadium Kolkata. At Mahakaran (Writers’ Building), KKR Team will be felicitated by West Bengal Supremo Mamata Banerjee and Brand Ambassador of Bengal & Owner of KKR Team Shahrukh Khan will present the IPL 5 2012 Championship Trophy to Ms. Mamata Banerjee. From Mahakaran, the KKR Team Rally will go to Eden Gardens Kolkata. Around 11:45am to 12noon KKR Team Convoy will reach Eden Gardens Kolkata, where a Winning Event has been organized by CAB & WB Government. At Eden Gardens Kolkata, so many famous personalities will be present during the KKR IPL-5 Championship Winning Celebration. Chandrabindu, Bhumi, Dohaar, Bollywood Actors, Tollywood Actors, Ministers & many others will be there at Eden Gardens Kolkata along with Shahrukh Khan & whole KKR Team Members. The Celebration program at Eden Gardens for Kolkata Knight Rider’s 2012 IPL win will continue till 1pm. NO TICKET required to enter Eden Gardens Kolkata on 29th May 2012 to join the party of KKR for winning IPL 5 2012. Yes, you need not to buy any ticket for watching the special Event at Eden Gardens Kolkata. So hurry on and get in to Eden Gardens as soon as possible, it’s advised to enter Eden Gardens on & from 9am to 10am otherwise, you will get to face a long queue. Because thousands of KKR Fans will attend the KKR Winning Party at Kolkata. KKR Fans coming from Howrah & Hooghly are requested to come to Gate No.13 to Gate No.17 and KKR Fans coming from South & North Kolkata area are advised to go to Gate No.4 to Gate No.12 by 9:30am to avoid rush. Let’s dance with the tune of KKR Theme Song ‘Karbo Larbo Jitbo Re’ and start chanting ‘KKR KKR’ & ‘Korechi Lorechi Jitechi Re’. Kolkata Knight Riders (KKR) with its sponsor Nokia over the years comes up with various campaigns for the Kolkata Knight Rider & IPL T20 Cricket Fans. This year in 2012 IPL-5 Nokia & Kolkata Knight Riders has introduced their new campaign named ‘Nokia Channel Me’. Let’s check out how to participate / register at Nokia Channel Me and what are the prizes could be won through Nokia KKR Channel Me campaign in 2012 IPL5. As we all know every year Nokia, sponsor of KKR IPL Team of Shahrukh Khan, organizes several campaigns to entertain fans during IPL T20 Cricket Tournament. In 2010 Nokia Main Bhi Coach was the biggest hit amongst the all campaigns of Nokia & KKR. In IPL5 2012 Nokia launches their new campaign Nokia Channel Me. This Nokia Channel Me KKR campaign has been started from 5th April 2012 and will close on the Final Day of IPL5 i.e. 27th May 2012. How to participate / register in Nokia Channel Me KKR IPL5 2012 Campaign? Now, get to know who can register for Nokia Channel Me campaign of KKR. As the name suggest, only Nokia Mobile Phone users can participate in Nokia Channel Me campaign in which you need to upload videos of IPL T20 Experience. Nokia Smartphone users need to download Fun2Shoot Mobile application (only supported in Symbian based Smartphone) and Windows Phone Marketplace (only for Nokia Lumia users) and using the Apps create their personalized Nokia Channel. After creating your own Channel using Nokia Smartphone, you may upload many videos related to IPL T20 Cricket. You need to share your personal experience of IPL matches in your video. Uploaded videos should be shared to others by you. The most viewed Video and most Liked Video will be selected as the Nokia Channel Me KKR Contest winner. The uploader (owner) of most liked & viewed video will be the winner. People who are buying Nokia Smartphone (especially Nokia C5-05, Nokia Asha 300, Nokia 500, Nokia N8, Nokia Lumia 800, Nokia Lumia 710) during the IPL5 Season will get free assured gifts, KKR Fan Kit and the chance of winning Honda City Car. Nokia & KKR will give away prizes like KKR Fan Kit, KKR T-Shirts etc to all participants of Nokia Channel Me. The most viewed & liked Video owner will get the chance to host Nokia-KKR Chill Party along with all KKR players, Shahrukh Khan & other Bollywood actors. Go Go Go Buy new Nokia Smartphone & create your Nokia Channel or simply download Fun2Shoot Nokia Mobile Apps & participate in Nokia Channel Me KKR IPL5 2012 campaign and prepare yourself for Nokia-KKR Chill Party with your favorite players & actors. IPL 2012 T20 KKR Match Ticket Prices, www.kkr.com, Indian Premiere League IPL 5 KKR Matches Eden Gardens Kolkata Knight Riders Tickets Prices, Online KKR IPL 2012 Match Tickets. Eden Gardens Kolkata is set to entertain you all in April & May month with Indian Premiere League (IPL-5) 2012. Eden Gardens Cricket Stadium is the home ground of Kolkata Knight Riders (KKR) IPL Team and thus KKR Management has arranged special opening ceremony at Eden Gardens Kolkata on 5th April 2012 (1st IPL-5 Match of KKR at Eden Gardens) with spectacular acts of Chhau Dancers, Dhaki, Fossils Bangla Band etc. Don’t miss the chance to cheer for your favorite KKR IPL Team at Eden Gardens Kolkata and Buy your Tickets now. • Club house Lower Tier Ticket Price of IPL-5 2012 KKR Matches at Eden Gardens Kolkata: - Rs.9000/-. • Club house Upper Tier Ticket Price of IPL-5 2012 KKR Matches at Eden Gardens Kolkata: - Rs.2400/-. • B & C Block Ticket Price of IPL-5 2012 KKR Matches at Eden Gardens Kolkata: - Rs.1500/-. • K & L Block Ticket Price of IPL-5 2012 KKR Matches at Eden Gardens Kolkata: - Rs.750/-. • F, J & D Block Ticket Price of IPL-5 2012 KKR Matches at Eden Gardens Kolkata: - Rs.500/-. • E, G & H Block Ticket Price of IPL-5 2012 KKR Matches at Eden Gardens Kolkata: - Rs.400/-. • B1, C1, D1, F1, G1, H1, K1 & L1 Block Ticket Price of IPL-5 2012 KKR Matches at Eden Gardens Kolkata: - Rs.300/-. Note: Season Tickets of IPL-5 2012 of Eden Gardens Kolkata is also available. • KKR IPL-5 2012 Eden Gardens Kolkata Match Tickets Online – You should visit www.kkr.in or www.ticketgenie.in/kkr website to purchase IPL 2012 KKR T20 Match Tickets of Eden Gardens, Kolkata. Remember, these two are the authorized websites to sell tickets online. • IPL 2012 KKR T20 Match Tickets of Eden Gardens Kolkata Offline – Those who want to buy KKR Match Tickets of Eden Gardens manually are requested to collect IPL 2012 T20 Match Tickets of KKR from KKR Box Office at Mohammedan Sporting Club Ground, Kolkata between 10am & 5pm. • KKR Fans can avail the facility of purchasing IPL 2012 Eden Gardens Kolkata KKR Match Tickets at home by calling 9674863420 phone number and could avail the Cash on Delivery facility. Kolkata Knight Riders Fans can call 9674863404 Ticket Helpline Phone Numbers for further queries on IPL 2012 KKR Match Tickets of Eden Gardens Kolkata. 1. KKR IPL-5 Match Schedule Chart at Eden Gardens Kolkata. 2. KKR IPL-5 New Players Names. 3. IPL-5 2012 Match Schedule. Kolkata Knight Riders (KKR) has changed their Logo and now time to see whether KKR could change their luck or not. Stay tuned at Eden Gardens Kolkata and support KKR to win IPL-5 2012. Eden Gardens Kolkata T20 IPL-5 2012 Cricket Match Schedule Dates Timings Tickets, Indian Premiere League Season-5 (IPL5) Twenty20 T20 Cricket Matches at Eden Gardens Kolkata Knight Riders (KKR) matches at Eden of IPL-5 2012 T20 Cricket Tournament. Indian Premiere League Season-5 (IPL-5) Twenty20 Cricket Tournament is going to start on 4th April 2012 at Chennai. More than 70 T20 Cricket matches to be played in 12 various Cricket Stadiums of India in IPL-5 T20 Cricket Tournament this year. Kolkata Knight Riders (KKR) T20 Team will play total of 8 Home Matches at Eden Gardens Kolkata Cricket Stadium in IPL-5. Let’s check out the IPL-5 T20 Cricket Match Schedule Timings at Eden Gardens of Kolkata Knight Riders (KKR) IPL Team. • IPL-5 T20 2012 Cricket Match at Eden Gardens Kolkata on 5th April 2012 – The IPL-5 T20 Cricket Match at Eden Gardens starts at 8pm between Kolkata Knight Riders (KKR) vs. Delhi Daredevils (DD). • IPL-5 T20 2012 Cricket Match at Eden Gardens Kolkata on 13th April 2012 – The IPL-5 T20 Cricket Match at Eden Gardens starts at 8pm between Kolkata Knight Riders (KKR) vs. Rajasthan Royals (RR). • IPL-5 T20 2012 Cricket Match at Eden Gardens Kolkata on 15th April 2012 – The IPL-5 T20 Cricket Match at Eden Gardens starts at 4pm between Kolkata Knight Riders (KKR) vs. Kings XI Punjab (KXIP). • IPL-5 T20 2012 Cricket Match at Eden Gardens Kolkata on 24th April 2012 – The IPL-5 T20 Cricket Match at Eden Gardens starts at 8pm between Kolkata Knight Riders (KKR) vs. Deccan Chargers (DC). • IPL-5 T20 2012 Cricket Match at Eden Gardens Kolkata on 28th April 2012 – The IPL-5 T20 Cricket Match at Eden Gardens starts at 8pm between Kolkata Knight Riders (KKR) vs. Royal Challengers Bangalore (RCB). • IPL-5 T20 2012 Cricket Match at Eden Gardens Kolkata on 5th May 2012 – The IPL-5 T20 Cricket Match at Eden Gardens starts at 4pm between Kolkata Knight Riders (KKR) vs. Pune Warriors (PW). Our beloved cricketer Dada (Sourav Ganguly) will fight against his own city Kolkata. • IPL-5 T20 2012 Cricket Match at Eden Gardens Kolkata on 12th May 2012 – The IPL-5 T20 Cricket Match at Eden Gardens starts at 4pm between Kolkata Knight Riders (KKR) vs. Mumbai Indians (MI). • IPL-5 T20 2012 Cricket Match at Eden Gardens Kolkata on 14th May 2012 – The IPL-5 T20 Cricket Match at Eden Gardens starts at 8pm between Kolkata Knight Riders (KKR) vs. Chennai Super Kings (CSK). 1. List of all 2012 T20 IPL-5 Cricket Match Schedule of all IPL Playing Teams. 2. Kolkata Knight Riders (KKR) IPL-5 2012 T20 Cricket Matches (Home & Away). Get ready KKR Fans! Get ready to cheer for KKR at Eden Gardens Kolkata on the above mentioned dates when KKR will play against other IPL Teams at Eden Gardens. Kolkata Knight Riders 2012 Indian Premiere League (IPL-5) T20 Cricket Match Dates Schedule Chart Timetable KKR IPL5 2012 Twenty20 Matches date time venue KKR Kolkata Knight Riders IPL-5 Indian Premiere League 2012 Twenty20 T20 Cricket Match Chart Fixtures Timetable List KKR IPL Matches 2012 IPL 2012 Schedule - Indian Premier League India 2012 - Season 5 Cricket Match Schedule, Time table Player Auction Teams, Scores. Indian Premiere League (IPL) Season-5 is going to start from 4th April 2012. The organizers of DLF IPL T20 Cricket Tournament have announced the detail IPL-5 2012 T20 Cricket Match Fixture (Date Schedule Chart) in January 2012. As per the announcement made by DLF IPL Tournament management total of 9 Franchisees are going to compete in IPL-5 Tournament and total of 76 T20 Cricket Matches will played in IPL-5 2012 Season in 12 various Cricket Stadiums of India. Starting from 4th April 2012, The IPL-5 T20 Tournament will end with the IPL5 T20 Cricket final match on 27th May 2012. Here we will check out our own IPL T20 Team Kolkata Knight Rider’s Match Schedule for 2012 Indian Premiere League T20 Cricket Tournament below. Let’s check out the KKR T20 Match dates of IPL-5 2012 Season now. • 5th April 2012 IPL-5 T20 Cricket Match: - Kolkata Knight Riders (KKR) Vs. Delhi Daredevils (DD). • 8th April 2012 IPL-5 T20 Cricket Match: - Kolkata Knight Riders (KKR) Vs. Rajasthan Royals (RR). • 10th April 2012 IPL-5 T20 Cricket Match: - Kolkata Knight Riders (KKR) Vs. Royal Challengers Bangalore (RCB). • 13th April 2012 IPL-5 T20 Cricket Match: - Kolkata Knight Riders (KKR) Vs. Rajasthan Royals (RR). • 15th April 2012 IPL-5 T20 Cricket Match: - Kolkata Knight Riders (KKR) Vs. Kings Eleven Punjab (KXIP). • 18th April 2012 IPL-5 T20 Cricket Match: - Kolkata Knight Riders (KKR) Vs. Kings Eleven Punjab (KxiP). • 22nd April 2012 IPL-5 T20 Cricket Match: - Kolkata Knight Riders (KKR) Vs. Deccan Chargers (DC). • 24th April 2012 IPL-5 T20 Cricket Match: - Kolkata Knight Riders (KKR) Vs. Deccan Chargers (DC). • 28th April 2012 IPL-5 T20 Cricket Match: - Kolkata Knight Riders (KKR) Vs. Royal Challengers Bangalore (RCB). • 30th April 2012 IPL-5 T20 Cricket Match: - Kolkata Knight Riders (KKR) Vs. Chennai Super Kings (CSK). • 5th May 2012 IPL-5 T20 Cricket Match: - Kolkata Knight Riders (KKR) Vs. Pune Warriors (PW). • 7th May 2012 IPL-5 T20 Cricket Match: - Kolkata Knight Riders (KKR) Vs. Delhi Daredevils (DD). • 12th May 2012 IPL-5 T20 Cricket Match: - Kolkata Knight Riders (KKR) Vs. Mumbai Indians (MI). • 14th May 2012 IPL-5 T20 Cricket Match: - Kolkata Knight Riders (KKR) Vs. Chennai Super Kings (CSK). • 16th May 2012 IPL-5 T20 Cricket Match: - Kolkata Knight Riders (KKR) Vs. Mumbai Indians (MI). • 19th May 2012 IPL-5 T20 Cricket Match: - Kolkata Knight Riders (KKR) Vs. Pune Warriors (PI). Kolkata Knight Riders (KKR) management has changed the KKR Coach in IPL-5 Season and newly appointed KKR Coach for 2012 IPL-5 Tournament is Trevor Bayliss (Australian Coach). Now, it’s time to see how well Kolkata Knight Riders (KKR) Team performs in 2012 IPL T20 Cricket Tournament. Nothing went right for Kolkata Knight Riders (KKR) T20 Team of IPL (Indian Premiere League). So many changes have been made in Kolkata Knight Riders (KKR) Cricket Team in every year before IPL Tournament starts with the hope of best outcome; but nothing went well. Kolkata Knight Riders (KKR) starts its journey under the captaincy of Sourav Ganguly but he was replaced by Gautam Gambhir; though the result stayed same. Now, the Kolkata Knight Riders (KKR) Management is going to change the KKR Coach for IPL 2012 Tournament. In the year 2009-2010 when Dave Whatmore signed as Kolkata Knight Riders (KKR) Coach; it was an contract of 3-years and it meant IPL 2010, IPL 2011 & IPL 2012 season under the Coaching of Dave Whatmore. As per the news coming out, Dave Whatmore is going to be replaced by Trevor Bayliss in 2012 IPL Tournament as the Coach of Kolkata Knight Riders (KKR) T20 Cricket Team. The name of Dave Whatmore has been nominated for the Coach of Pakistan National Cricket Team and this is the reason mentioned behind the replacement of KKR Coach Dave Whatmore. Under the Coaching of Dave Whatmore, Kolkata Knight Riders (KKR) slightly improved and made their place to Knock-out round of IPL last year & made their position in Airtel T20 Champions League. But the ultimate result of Kolkata Knight Riders (KKR) Team performance wasn’t good to catch eyes of fans. 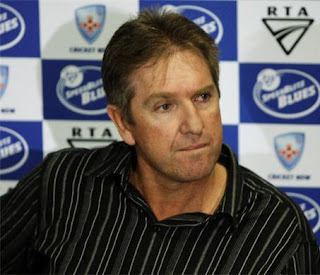 As per the news, Kolkata Knight Riders (KKR) will have the new Coach for Indian Premiere League (IPL) Tournament 2012 named ‘Trevor Bayliss’. Cricket Coach Trevor Bayliss is from Australia and has an excellent statistics as Coach in Asian Countries. Under the Coaching of Trevor Bayliss, Srilanka Cricket Team reached T20 World Cup Final twice; first time in 2009 & secondly in 2011. Since, Trevor Bayliss did coaching in Srilanka for last few years and able to take Srilanka in T20 World Cup Finals twice; it’s quite understandable that Trevor Bayliss has enough knowledge & experience with the environments, pitches conditions etc of Asian countries. May be this is why, Kolkata Knight Riders (KKR) Team Management signed Trevor Bayliss as KKR Coach replacing Dave Whatmore for 2012 IPL Tournament. Trevor Bayliss will be appointed as new Kolkata Knight Riders (KKR) Coach before the IPL-2012 Players Auction to be held in January, 2012. Good wishes to Kolkata Knight Riders (KKR) Team and KKR New Coach Trevor Bayliss for the upcoming tough Indian Premier League (IPL) 2012 T20 Cricket Tournament starting from 4th April 2012 in India. Australia Cricketer Bowler Brett Lee Profile Biodata Biography Address Birthday Mobile Phone Contact Number Australian Brett Lee Family Wife Son Daughter Father Mother Names Brett Lee Education Qualification Cricket Career Statistics Brett Lee Coach Cricketing Career Wickets Bowling Figures Brett Lee Awards Achievements Kolkata Knight Riders IPL KKR Team Coach Brett Lee Songs Pop Albums details. Australian Fast Bowler Brett Lee is an athletic fielder and useful lower-order batsman, with a batting average exceeding 20 in Test cricket. Together with Mike Hussey, Brett Lee has held the record for highest 7th wicket partnership for Australia in ODIs since 2005–06 (123). Brett Lee ranks behind only Pakistani bowler Shoaib Akhtar as the fastest bowler in contemporary cricket during most of this decade. Rawalpindi Express Shoaib Akhtar's delivery at 161.3km/h (100.2mph) stands as the fastest recorded to date. • Birthday of Australian Bowler Brett Lee, KKR Bowler: - 8th November 1976. • Birthplace / Address of Australian Bowler Brett Lee, KKR Bowler: - Wollongong, New South Wales, Australia. • Nickname of Australian Bowler Brett Lee, KKR Bowler: - Bing, Binga, The Speedster. • Height of Australian Brett Lee KKR Bowler: - 1.87 m (6 ft 2 in). • Brett Lee Family and Educational Personal Life: Brett Lee is the second of three sons born to Bob (father of Brett Lee), a metallurgist and Helen (née Buxton – Mother of Brett Lee), a piano teacher. Brett Lee has two brothers, the elder being former Australian all rounder and New South Wales Blues captain Shane Lee. Brett Lee‘s younger brother Grant played cricket for New South Wales at the under-19 level, and is now an accountant. Brett Lee attended Balarang Public School and Oak Flats High School, which later named its cricket ground in his honour. Brett Lee‘s nickname 'Bing' refers to 'Bing Lee', after a chain of electronics stores in New South Wales. The Brett Lee brothers enjoyed soccer, basketball and skiing and were encouraged to play the piano by their mother (Grant is a qualified pianist). Brett Lee married Elizabeth Kemp (Wife of Brett Lee) in June 2006 and has a son named Preston Charles, born 16th November 2006. However, after two years of marriage, on 21 August 2008, Brett Lee confirmed his separation from Elizabeth Kemp and divorced in 2009. • Batting Style of Australian Brett Lee KKR Bowler: Right hand bat. • Bowling Style of Australian Brett Lee KKR Bowler: Right arm fast. • Playing Role / Position of Australian Brett Lee KKR Bowler: Bowler and lower order hard hitter batsman. • Australian Brett Lee KKR Bowler played for Australia, New South Wales, Kings XI Punjab (2008-2010), Kolkata Knight Riders KKR (2011-2012). • Debut Test of Australian Bowler Brett Lee, KKR Bowler: (cap 383) 26th December 1999 against India. • ODI Debut of Australian Bowler Brett Lee, KKR Bowler: (cap 140) 9th January 2000. • Australian Fast Bowler Brett Lee Early Life Career: At sixteen years of age, Brett Lee began playing first grade cricket for Campbelltown, where Brett Lee managed to claim the wickets of a few New South Wales cricketers. Brett Lee later joined Mosman, where at one point, Brett Lee shared the new ball with Shoaib Akhtar. Brett Lee played for the Australian Under 17 & 19 teams and was awarded a scholarship to attend the Australian Cricket Academy. In March 1994, Brett Lee was forced out of the Australian under-19 team to tour India due to stress fractures in his lower back. Brett Lee recovered and made his first-class debut for New South Wales against Western Australia in a Sheffield Shield match as a 20-year old in the 1997–98 season, playing one match and taking 3/114. One month later, Lee was chosen to represent the Australian A team on a tour to South Africa. Brett Lee claimed two wickets but in that very match, stress fractures in his back from the previous injury had re-opened and Lee was in a back brace for over three months. • Australian Bowler KKR Player Brett Lee Cricket Career: By the late 1990s there were calls for Brett Lee to be included in the national squad. Brett Lee was eventually chosen in the final 14 for the Test series against Australia in 1999 but failed to make the starting 11. By the time the Test series against India came around, Brett Lee was twelfth man. However, Brett Lee duly made his Test debut for Australia in December 1999 against the touring Indians, becoming Australia's 383rd Test cricketer. Brett Lee won the inaugural Donald Bradman Young Player of the Year Award at the Allan Border Medal award ceremony in 2000 soon after his debut. Brett Lee made his debut in One Day International for Australia against Pakistan on 9th January 2000 during the Carlton and United Breweries Series at the Gabba, Brisbane. Brett Lee became the 140th ODI cricketer to represent Australia. In One-day Internationals, Brett Lee was ranked by the ICC as the No.1 ODI bowler in January 2006 and has been ranked among the top ten ODI bowlers since the start of 2003. Brett Lee has a wide array of deliveries including a dangerous in-swinging Yorker. Brett Lee‘s bowling strike rate of around 30 puts him amongst the most incisive in this form of the game. Brett Lee also has a One-day International hat-trick to his name, achieved in the 2003 World Cup against Kenya. Lee was the first Australian and fourth bowler to ever achieve this feat in World Cup history. During the 2003 Cricket World Cup, Brett Lee was one of the leading performers for Australia. Brett Lee concluded the tournament with 22 wickets off 83.1 over at an average of 17.90 finishing second to Sri Lankan left-arm fast bowler Chaminda Vaas who took 23 wickets during that tournament. In 2003 world cup Brett Lee bowled his previous fastest recorded delivery of 160.7km/h against England at Port Elizabeth during their group match. The Donald Bradman Young Player of the Year 2000. The Wisden Young Cricketer of the Year 1999–00. Wisden Cricketer of the Year 2006. Chosen in "Australia's Greatest ODI XI" selected by former and present Australian ODI representatives. Chosen in the ODI Team of the Year 2005 at the ICC Awards. Chosen in the Test Team of the Year 2006 at the ICC Awards. Chosen in the ODI Team of the Year 2006 at the ICC Awards. VB Series Player of the Series 2002–03. VB Series Player of the Series 2004–05. DLF Cup Player of the Tournament 2006. Warne-Muralitharan Trophy Player of the Series 2007. Border-Gavaskar Trophy Player of the Series 2007–08. 2007 McGilvray Medallist for ABC's Australian Test Player of the year. 2008 Australian Test Player of the Year. Chosen in the ODI Team of the Year 2008 at the ICC Awards. Chosen in the Test Team of the Year 2008 at the ICC Awards. 2009 Champions League 20/20 Player of the Series. • Singer Brett Lee Singing Career Songs Album Lee Band Name: Australian Fast Bowler Brett Lee is part of the rock band Six and Out. The band is made up of Brett Lee’s brother Shane Lee and former New South Wales cricketers Brad McNamara, Gavin Robertson and Richard Chee Quee. Brett Lee launched own fashion label 'BL', in 2001. Brett Lee plays the bass guitar or acoustic guitar for the band Six and Out. During the 2006 ICC Champions Trophy in India, Brett Lee recorded a duet with India's music diva Asha Bhosle called You're the One For Me. The Brett Lee’s song reached a peak position of number two on the Indian and South African charts. In 2008, Brett Lee filmed scenes for his first Bollywood movie Victory. Brett Lee once hosted a short-lived TV program called "Personal Best". • KKR and Australian Bowler Brett Lee Charity Works: Brett Lee supports a number of charities including the Salvation Army, the Adventist Development and Relief Agency (ADRA) and the Make a Wish Foundation, in which Brett Lee was named an 'Official Friend' in honour of his long-standing association with the foundation. Brett Lee began supporting ADRA along with his brother Shane Lee when a close friend committed suicide. • Australian Cricketer Brett Lee IPL T20 Career: Brett Lee was the first player in Twenty20 International cricket to take a Hat-trick. Brett Lee played for the Kings XI Punjab team owned by Bollywood actress Preity Zinta and Businessman Ness Wadia in the Indian Premier League. Brett Lee played for the Kolkata Knight Riders (KKR) team of King Khan (Shahrukh Khan) during the 2011 season. Good wishes to Brett Lee for his upcoming Cricketing Tournaments and personal life. Pakistan Cricketer Bowler Wasim Akram Profile Biodata Biography Address Birthday Mobile Phone Contact Number Pakistani Wasim Akram Family Wife Son Daughter Father Mother Names Wasim Akram Education Qualification Cricket Career Statistics Wasim Akram Coach Coaching Career Wickets Bowling Figures Wasim Akram Awards Achievements Kolkata Knight Riders IPL KKR Team Coach Wasim Akram details. Wasim Akram, Punjabi Muslim and belongs to the Arain tribe, is a former Pakistani left arm fast bowler and left-handed batsman in cricket, who represented the Pakistan national cricket team in Test cricket and One Day International matches. Wasim Akram is regarded as one of the best fast bowlers in the history of cricket. Wasim Akram holds the world record for most wickets in List-A cricket with 881 and is second only to Sri Lankan off-spin bowler, Muttiah Muralitharan in terms of One Day International wickets with 502. Wasim Akram is considered to be one of the founders and perhaps the finest exponent of reverse swing bowling. The revolutionary nature of reverse swing initially resulted in accusations of ball tampering by cricket critics, although the skill of the reverse swing delivery has now been accepted as legitimate features of ability in cricket. Wasim Akram's later career was also tarnished with accusations of match fixing by critics, although these remain unproven. • Full Name of Pakistani Bowler Wasim Akram, KKR Bowling Coach: Wasim Akram Chaudhury. • Birthday of Pakistani Bowler Wasim Akram, KKR Bowling Coach: 3rd June 1966. • Birthplace / Address of Pakistani Bowler Wasim Akram, KKR Bowling Coach: Lahore, Punjab, Pakistan. • Nickname of Pakistani Bowler Wasim Akram, KKR Bowling Coach: Sultan of Swing, Waaz. • Height of Pakistani Bowler Wasim Akram, KKR Bowling Coach: 6 ft 2 in (1.88 m). • Batting Style of Pakistani Bowler Wasim Akram, KKR Bowling Coach: Left hand bat. • Bowling Style of Pakistani Bowler Wasim Akram, KKR Bowling Coach: Left arm fast. • Playing Role / Position of Pakistani Bowler Wasim Akram, KKR Bowling Coach: All-rounder (bowler and batsman). • Pakistan Bowler Wasim Akram, KKR Bowling Coach played for National side Pakistan, Hampshire, Lahore, Pakistan International Airlines, Lancashire English County Team, Pakistan Automobiles Corporation. • Debut Test of Pakistani Bowler Wasim Akram, KKR Bowling Coach: (cap 102) 25th January 1985 against New Zealand. • ODI Debut of Pakistani Bowler Wasim Akram, KKR Bowling Coach: (cap 53) 23rd November 1984 against New Zealand. • Wickets taken by Pakistan Bowler Wasim Akram, KKR Bowling Coach: Wasim Akram took 414 Test Wickets and 502 One Day Cricket Wickets. • Early Personal life of Wasim Akram Swing Bowler and KKR Bowling Coach: Wasim Akram was educated in Islamia College in Lahore, where Wasim Akram played as an opening bowler and batsman. Like several other Pakistani cricketers during the 1980s, his inclusion into the national side was at the behest of a senior player in the team, which in Akram's case was Javed Miandad. • KKR Bowling Coach Wasim Akram Family Life Background: Wasim Akram was married to Huma Mufti in 1995. Wasim Akram and Huma Mufti have two sons Taimur and Akbar from their marriage of fifteen years. Wasim Akram’s wife Huma died of multiple organ failure at Apollo Hospital in Chennai India on 25th October 2009. • Wasim Akram KKR Bowling Coach Cricket Career Statistics: In 1988 Wasim Akram signed for Lancashire County Cricket Club in England and went on to become their most successful overseas players. From 1988 to 1998, Wasim Akram opened their bowling attack in their ECB Trophy, Benson & Hedges Cup and National League tournaments. Wasim Akram was a favourite of the local British fans who used to sing a song called "Wasim for England" at Lancashire's matches. In 1998, with Akram as captain, Lancashire won the ECB Trophy and Axa League and finished second in the championship tournament despite losing only five matches in all competitions throughout the season. Apart from the National League second division title in 2003, this was the last time Lancashire won a trophy. Wasim Akram made his Test cricket debut for Pakistan against New Zealand in 1985 and in only his second Test match, Wasim Akram achieved 10 wickets in the match. A few weeks prior to his selection into the Pakistan team, Wasim Akram was an unknown club cricketer who had failed to even make it to his college team. Wasim Akram came to the trials at Gaddafi Stadium in Lahore in Pakistan, but for the first two days Wasim Akram did not get a chance to bowl. On the third day Wasim Akram got a chance; his performance convincing Javed Miandad to insist upon his inclusion in the national team. Akram was hence given an opportunity to play for Pakistan, without any significant domestic experience. Later that season Wasim Akram opened the bowling attack with Imran Khan, who became his mentor at and after the World Championship of Cricket in Australia. Wasim Akram was a significant figure in the 1992 Cricket World Cup held in Australia, when Pakistan won the tournament. In the final against England, his batting performance during his innings of 33 runs off 19 balls, pushed Pakistan to a respectable score of 249 runs for 6 wickets. Akram then took the important wicket of Ian Botham early on the English batting innings and when brought back into the bowling attack later on, with the ball reverse swinging, Wasim Akram produced a devastating spell of bowling which led to Allan Lamb and Chris Lewis being bowled in successive deliveries in one over. Wasim Akram‘s excellent performances earned him the Man of the Match award for the final. Wasim Akram also captained Pakistan with some success. The high points of his captaincy was the 1996-1997 victory in the World Series Cricket in Australia, two Test match wins in India in 1998-1999 and in 1999, when Pakistan reached the 1999 Cricket World Cup final. The low point was the 1996 Cricket World Cup in Pakistan and India, when Wasim Akram had to pull out of the quarterfinal match against India, citing injury. After Pakistan's defeat, there were angry protests outside his home and riots across the country from angry fans that accused the team of throwing the match and a government inquiry was launched into the failure. • Pakistan Bowler Wasim Akrarm Retirement from Cricket: On 18th May 2003, at the age of 36, Wasim Akram abruptly announced his retirement from international cricket, ending a career which spanned 19 years. Wasim Akram had suggested that Wasim Akram was ready to quit several times towards the end of his career, but Pakistan's sub-par performance in the World Cup proved to be the deciding factor. • Wasim Akram Media Career as Commentator: Since retiring from cricket, Wasim Akram has worked and taken up commentary for television networks and can currently be seen as a sports commentator for ESPN Star Sports, ARY Digital and among others. Wasim Akram did commentary on a variety of sporting tournaments including the 2009 Women's Cricket World Cup match between Australia v India in a Super Six Match held in Australia, the 2009 ICC World Twenty20 in England, the 2009 ICC Champions Trophy in South Africa, in various matches of 2011 ICC World Cup in India, Srilanka, Bangladesh and among others. • Coaching Career of Wasim Akram, Pakistan Swing Bowler: In 2010, Wasim Akram was appointed the bowling coach consultant of Kolkata Knight Riders, the Indian Premier League team for Kolkata. Sourav Ganguly was always keen to have Wasim Akram as the bowling coach for India, during the former's stint as Indian captain. Although this never happened, his dreams were realized to some extent, when Wasim Akram was appointed as the bowling coach for the franchise. While working for the Kolkata Knight Riders, Wasim Akram was also responsible for the signing of Pakistani domestic left-arm fast-bowler Mohammad Irfan. Akram has also been coaching in Pakistan fast bowling camps; his most notable discovery being the teenage Pakistani international, Mohammad Aamer. • Awards Achievements of KKR Bowling Coach Wasim Akram: Apart from winning so many of Man Of the Match and Man Of the Series awards, Wasim Akram was awarded Wisden Cricketer of the Year in 1993 for his sporting achievements. Wasim Akram was the first bowler in international cricket to take more than 400 wickets in both forms of the game and only Muttiah Muralitharan has since achieved this. Wasim Akram took four hat tricks in international cricket, two each in Tests matches and One Day Internationals. Wasim Akram is the only bowler in cricket to have achieved four hat-tricks. Kolkata Knight Riders (KKR) IPL T20 Team and the players of KKR Team are very lucky to have a Bowling Coach like Wasim Akram. Cricket fever is back again and now all the Champions will compete with each other. The Champions League Twenty20 Cricket 2011 Season is going to be started in September 2011. Here are the CLT20 2011 Cricket Match Schedules and Timings. 19th September 2011 CLT20 Cricket Match timings 16:00 (IST) at Rajiv Gandhi International Stadium, Hyderabad between Trinidad and Tobago vs T.B.C. 19th September 2011 CLT20 Cricket Match timings 20:00 (IST) at Rajiv Gandhi International Stadium, Hyderabad between Kolkata Knight Riders (KKR) vs Auckland. 20th September 2011 CLT20 Cricket Match Timings 16:00 (IST) at Rajiv Gandhi International Stadium, Hyderabad between Trinidad and Tobago vs T.B.C. 20th September 2011 CLT20 Cricket Match timings 20:00 (IST) at Rajiv Gandhi International Stadium, Hyderabad between T.B.C. vs Auckland. 21st September 2011 CLT20 Cricket Match starting time 16:00 (IST) at Rajiv Gandhi International Stadium, Hyderabad between T.B.C. vs T.B.C. 21st September 2011 CLT20 Cricket Match starts at 20:00 (IST) at Rajiv Gandhi International Stadium, Hyderabad between Kolkata Knight Riders (KKR) vs T.B.C. Kolkata Knight Riders (KKR) with its new team has shown good performance in IPL-4 2011 Season under the Captaincy of Gautam Gambhir, but will New KKR Team be able to qualify for CLT20 2011 Season through qualifying round? September 23, 2011 - 20:00 (IST) - M.Chinnaswamy Stadium, Bengaluru - Royal Challengers Bangalore vs Warriors. September 24, 2011 - 16:00 (IST) - MA Chidambaram Stadium, Chennai - Cape Cobras vs New South Wales Blues. September 24, 2011 - 20:00 (IST) - MA Chidambaram Stadium, Chennai - Chennai Super Kings vs Mumbai Indians. September 25, 2011 - 16:00 (IST) - Eden Gardens, Kolkata - Warriors vs Southern Redbacks. September 25, 2011 - 20:00 (IST) - Eden Gardens, Kolkata - Qualifier 1 vs Qualifier 3. September 26, 2011 - 20:00 (IST) - M.Chinnaswamy Stadium, Bengaluru - Mumbai Indians vs Qualifier 2. September 27, 2011 - 20:00 (IST) - Eden Gardens, Kolkata - Qualifier 1 vs Southern Redbacks. September 28, 2011 - 16:00 (IST) - MA Chidambaram Stadium, Chennai - New South Wales Blues vs Qualifier 2. September 28, 2011 - 20:00 (IST) - MA Chidambaram Stadium, Chennai - Chennai Super Kings vs Cape Cobras. September 29, 2011 - 20:00 (IST) - Eden Gardens, Kolkata - Qualifier 1 vs Royal Challengers Bangalore. September 30, 2011 - 20:00 (IST) - M.Chinnaswamy Stadium, Bengaluru - Mumbai Indians vs Cape Cobras. October 01, 2011 - 16:00 (IST) - Eden Gardens, Kolkata - Southern Redbacks vs Qualifier 3. October 01, 2011 - 20:00 (IST) - Eden Gardens, Kolkata - Qualifier 1 vs Warriors. October 02, 2011 - 16:00 (IST) - MA Chidambaram Stadium, Chennai - Mumbai Indians vs New South Wales Blues. October 02, 2011 - 20:00 (IST) - MA Chidambaram Stadium, Chennai - Chennai Super Kings vs Qualifier 2. October 03, 2011 - 20:00 (IST) - M.Chinnaswamy Stadium, Bengaluru - Royal Challengers Bangalore vs Qualifier 3. October 04, 2011 - 16:00 (IST) - MA Chidambaram Stadium, Chennai - Cape Cobras vs Qualifier 2. October 04, 2011 - 20:00 (IST) - MA Chidambaram Stadium, Chennai - Chennai Super Kings vs New South Wales Blues. October 05, 2011 - 16:00 (IST) - M.Chinnaswamy Stadium, Bengaluru - Warriors vs Qualifier 3. October 05, 2011 - 20:00 (IST) - M.Chinnaswamy Stadium, Bengaluru - Royal Challengers Bangalore vs Southern Redbacks. October 07, 2011 - 20:00 (IST) - 1st Semi Final (D/N) - M.Chinnaswamy Stadium, Bengaluru - B1 vs A2. October 08, 2011 - 20:00 (IST) - 2nd Semi Final (D/N) - MA Chidambaram Stadium, Chennai - A1 vs B2. October 09, 2011 - 20:00 (IST) - Final (D/N) - MA Chidambaram Stadium, Chennai - SF1 vs SF2. Chennai Super Kings was the defending CLT20 Champion and M.S. Dhoni's CSK team has done superbly well in IPL-4 season too. Thus, we can hope that CLT20 2011 Cup will remain in India. Search Tags: CLT20 2011 Cricket Matches at Eden Gardens Kolkata, CLT20 2011 Cricket Match Schedule Chart Timings at Bengaluru Chennai Hyderabad Stadium, Kolkata Knight Riders Match dates times in CLT20 2011, KKR CSK MI RCB CLT20 2011 Cricket Match Dates timings, Chennai Super Kings Royal Challengers Bangalore Mumbai Indians CLT20 2011 Match dates schedule timings venue, Eden Gardens Kolkata CLT20 2011 Cricket Matches Timings Tickets KKR. 2011 Champions League Twenty20 (CLT20 - 2011) match schedule, match venues and format of CLT20 2011 Tournament has been announced. CLT20 2011 Cricket matches will be played in India and the Qualifying T20 matches are going to be played at Rajiv Gandhi International Stadium Hyderabad between 19th September 2011 and 21st September 2011. Total of ten teams will play CLT20 2011 Cricket Tournament and seven teams already qualifies for the Champions league. Other three teams will be selected through Qualifier round (pool A and pool B) at Hyderabad. 2011 CLT20 Cricket tournament Qualifier round will be played between these teams Kolkata Knight Riders (India), Trinidad and Tobago (West Indies), Auckland Aces (New Zealand), one team from Sri Lanka and two teams from England. Chennai Super Kings (2010 CLT20 Champion), Cape Cobras (South Africa’s Pro20 Series Champions), NSW Blues (2009 CLT20 Champion), Mumbai Indians. The one more team will join after Qualifier round (Top of Pool-B). Royal Challengers Bangalore (2010 IPL Runner-Up), Warriors (2010 CLT20 Runner-up), South Australian Redbacks (Australia’s Twenty20 Big Bash Champions). Other two teams will come from Qualifier stage (Top of Pool A and next highest qualifier). The main CLT20 2011 Cricket matches will start from 23rd September 2011 till 9th October 2011 and the CLT20 2011 Cricket match venues (stadiums) are Chinnaswamy Stadium Bengaluru, Chidambaram Stadium Chennai and Kolkata Eden Gardens. The Semifinal CLT20 2011 will be played at Chinnaswamy Stadium Bengaluru and Chennai Cricket Stadium; but the Final Match of CLT20 2011 will be played at Chennai Chidambaram Cricket Stadium. • Opening CLT20 2011 Cricket Match-1 on 23rd September 2011 - Royal Challengers Bangalore and Warriors at M Chinnaswamy Stadium, Bengaluru. • CLT20 2011 Semi Final-1 match scheduled date is 7th October 2011 and venue is Bengaluru. • CLT20 2011 Semi Final-2 match scheduled date is 8th October 2011 and venue is Chennai. • CLT20 2011 Cricket Tournament Final match date is 9th October 2011 and venue is Chennai. Those who want to know the 2011 CLT20 Cricket Match Ticket Price list and want to buy CLT20 2011 Match Tickets online; are requested to visit www.computicket.com / www.clt20.com website. Search tags: Champions League T20 Cricket Matches 2011 CLT20 Match Schedule Timings Buy Online Tickets of CLT20 Ticket price chart Teams match venues dates CLT20 2011 Cricket Tournament. KKR Fans book your tickets of IPL-4 and don’t forget to cheer for your city Kolkata at the Eden Gardens on all 7 KKR matches in IPL-4. • IPL-4 KKR Match Ticket Prices at Eden Gardens Kolkata Stadium at Club House Lower Tier – Rs.9000/- per Ticket (Rs.54000/- Season Ticket includes 7-KKR IPL-4 Match Tickets). • IPL-4 KKR Match Ticket Prices at Eden Gardens Kolkata Stadium at Club House Upper Tier – Rs.3600/- per Ticket (Rs.21600/- Season Ticket includes 7-KKR IPL-4 Match Tickets). • IPL-4 KKR Match Ticket Prices at Eden Gardens Kolkata Stadium of B/C/F/K/L Blocks – Rs.1800/- per Ticket (Rs.10800/- Season Ticket includes 7-KKR IPL-4 Match Tickets). • IPL-4 KKR Match Ticket Prices at Eden Gardens Kolkata Stadium of D/E/G/H/J Blocks – Rs.1200/- per Ticket (Rs.10200/- Season Ticket includes 7-KKR IPL-4 Match Tickets). • IPL-4 KKR Match Ticket Prices at Eden Gardens Kolkata Stadium of B1/C1/L1/K1 Blocks – Rs.900/- per Ticket (Rs.5400/- Season Ticket includes 7-KKR IPL-4 Match Tickets). • IPL-4 KKR Match Ticket Prices at Eden Gardens Kolkata Stadium of D1/F1/G1/H1 Blocks – Rs.500/- per Ticket (Rs.3500/- Season Ticket includes 7-KKR IPL-4 Match Tickets). So, the minimum IPL-4 KKR T20 Match Ticket price at Eden Gardens Kolkata is only Rs.500/-. The KKR T20 IPL4 Cricket Match Tickets can be booked by two ways; one by purchasing KKR Match Tickets by visiting the Ticket Counter between 10am to 5pm on all working days at: KKR Box Office: Mohammedan Sporting Club Ground, Kolkata OR through online from www.ticketgenie.in/kkr or www.kkr.in websites. IPL-4 KKR Match Tickets of Eden Gardens Kolkata are available at – City Centre (Salt Lake), Forum (Elgin), Reebok Stores (Sarat Bose Road, Abhinandan Koyla Bihar, CIT Road, New Town Rajarhat City Centre), Café Coffee Day (Infinity Infotech), PlanetM Showrooms (Mani Square Mall, Barasat, Howrah, Regent Park, Dumdum Ghoshpara), Capital Electronics (Ultadanga, Uttarpara), South City Mall and all Spencers Stores in Kolkata. For further details about IPL-4 KKR matches please call toll free help line number 1860-5001122 and catch KKR Live in action at Eden Gardens. • KKR T20 IPL-4 Match Ticket Price at Eden Gardens Kolkata Club House Upper Tier: Rs.2400/- per Ticket. • KKR T20 IPL-4 Match Ticket Price at Eden Gardens Kolkata B1 / C1 / D1 / F1 / G1 / H1 / K1 / L1 Stand Blocks: Rs. 400/- per Ticket. • KKR T20 IPL-4 Match Ticket Price at Eden Gardens Kolkata D / E / F / G / H / J Stand Blocks: Rs. 500/- per Ticket. • KKR T20 IPL-4 Match Ticket Price at Eden Gardens Kolkata K / L Stand Blocks: Rs. 900/- per Ticket.